The first thing I needed to do was clear this garden of pretty much everything. The butterfly bush stayed as well as a few milkweed plants that I found. There was also a large balloon flower, some sedum and some peonies that I allowed to remain. Everything else, including the wafer ash, had to go. Thankfully I had plenty of wafer ash planted in other areas of my yard. 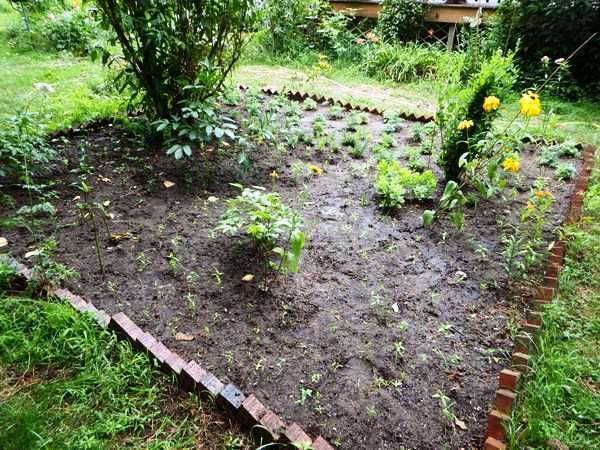 My plan for this refurbished garden was to be a butterfly food plant garden. If all went as planned the remaining butterfly bush would help to attract the butterflies to the area. Then, hopefully, the visiting butterflies would proceed to lay their eggs on the food plants. I decided I would concentrate on 3 specific plants with the goal of attracting specific butterflies. The majority of this space would be dedicated to milkweed for the benefit of the monarch butterflies (Danaus plexippus). 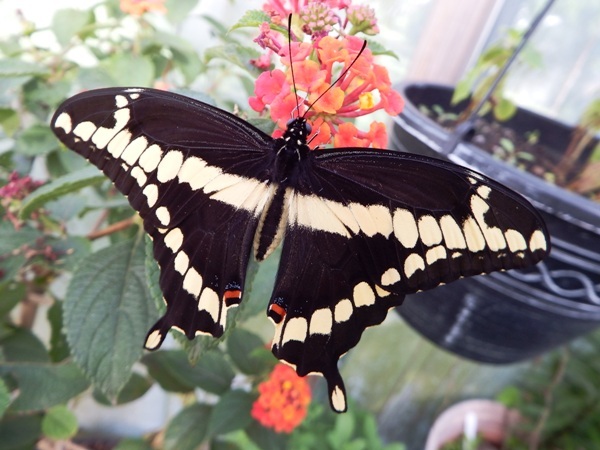 Then I would plant initially 16 rue plants, for the benefit of black swallowtails (Papilio polyxenes asterius) and giant swallowtails (Papilio cresphontes). 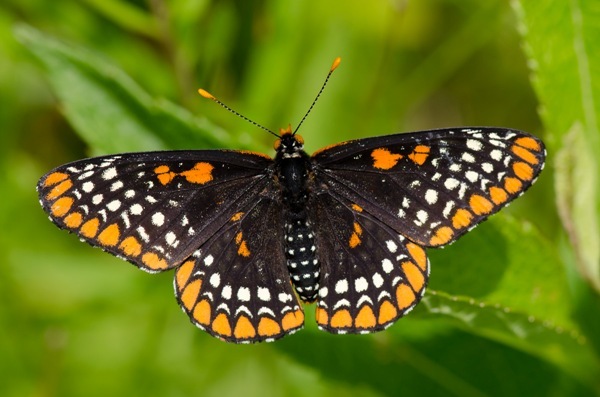 Finally I would also plant turtlehead, hoping to attract Baltimore checkerspots (Euphydryas phaeton), a species I had not seen in my yard in over twenty years. In the past I have had great luck attracting butterflies to my yard that normally I had not seen growing up. Planting Aristolochia brought in the pipevine swallowtails (Battus philenor) and thanks to the wafer ash, giant swallowtails are now an almost daily visitor! 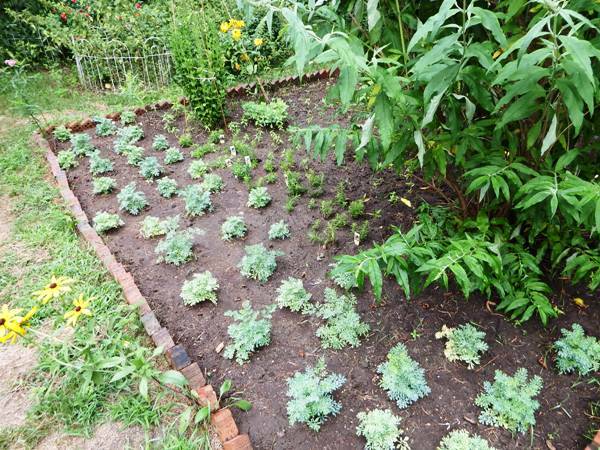 I had thought about doing this garden during the winter months so once the weather started to turn in the spring I started planting both milkweed and rue from seed. I planted a variety of milkweed knowing that monarchs would eat pretty much any species of milkweed but also knowing that the flowers attract butterflies as well. Over 300 milkweed seeds were planted as well as 50 or so rue. 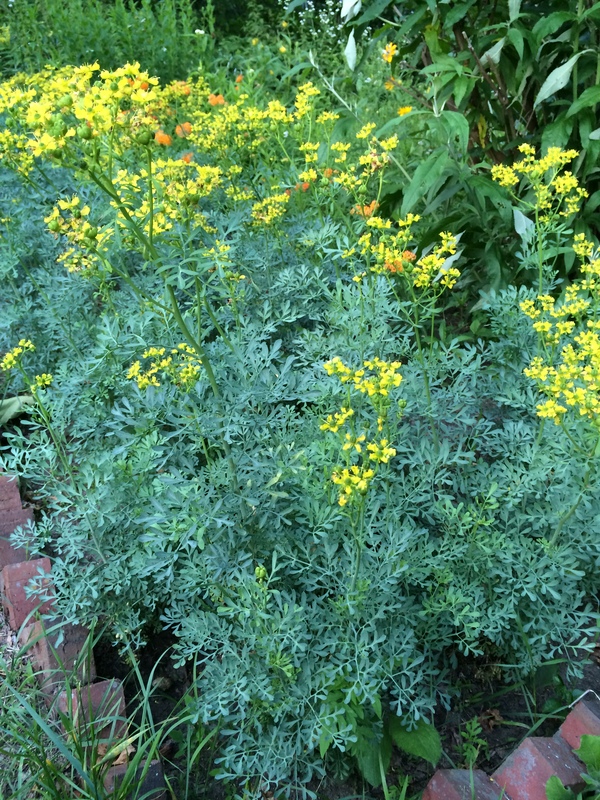 I also bought 16 established rue plants from a local nursery. Next came clearing the garden, which was no easy task. It took about 10 hours to do it completely. 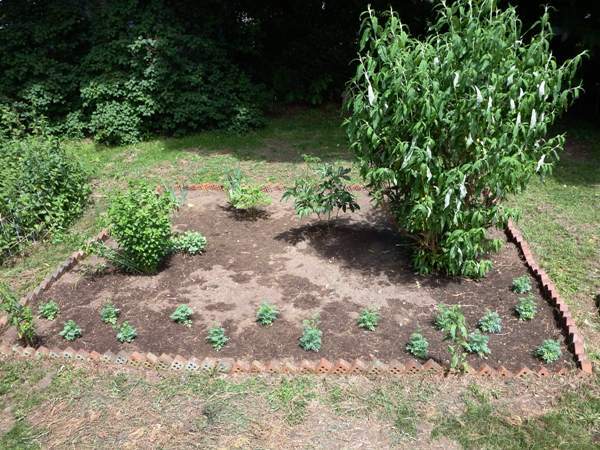 Most of it was done by hand as I was afraid that rototilling would damage the roots of not only the butterfly bush but also some of the butterfly attracting flowers that I found hiding among the weeds. The weeds had really taken hold and I loosened the soil almost 8 inches down, removing all roots that I could find from the weeds. I knew it would never be 100% cleared but now at least weeding will be more manageable. From there I planted the sixteen rue plants along the western edge of the garden. They were spaced knowing that they had the potential to grow quite large, and that they re-seed pretty regularly. 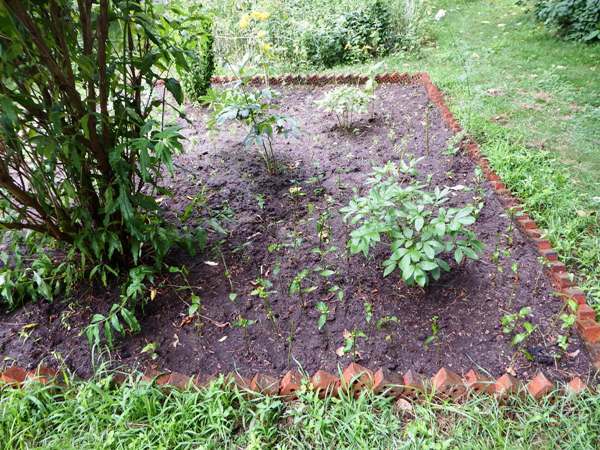 I also wanted room between plants to put in the seedlings I had started, once the plants became more established. The next step was to plant the turtlehead. These were plants I obtained off of eBay. 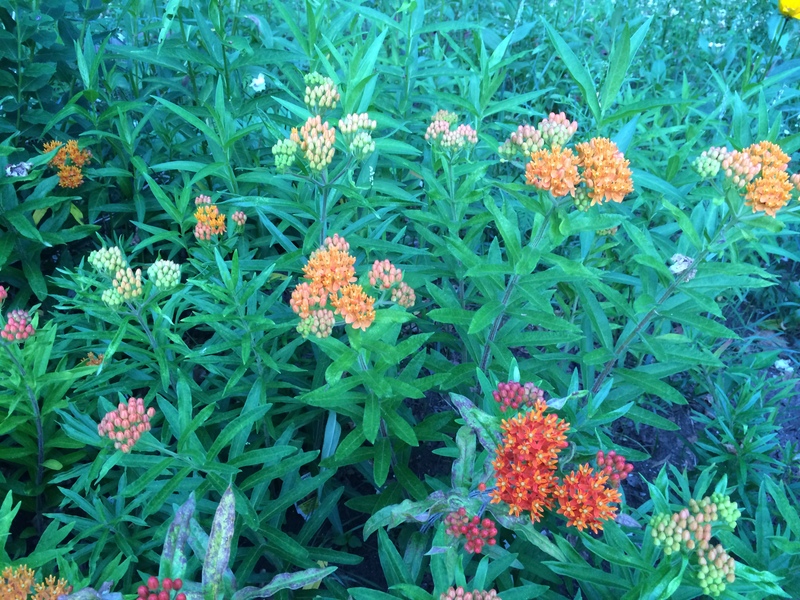 These were planted in the south-west corner of the garden, with the plan being that the rest of the garden would be dedicated to milkweed. I doubted that I would actually attract Baltimore checkerspots this year, figuring I would need these plants to really spread out and establish themselves before they were able to actually do anything. From here I planted about 200 milkweed seedlings. 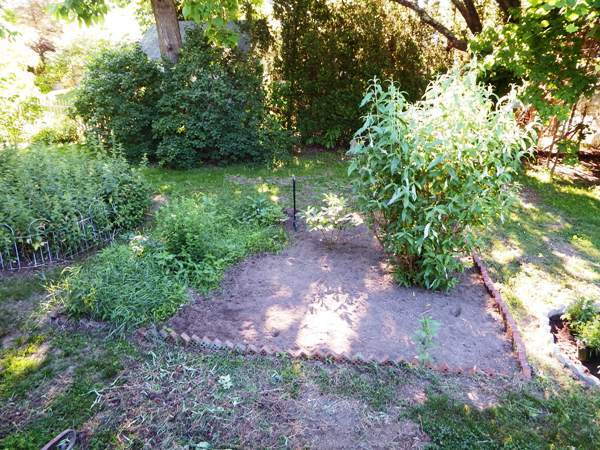 This filled in the remaining area of the garden. 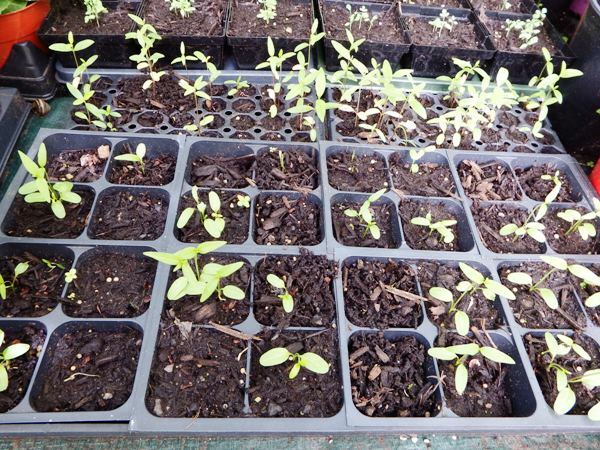 My only concern was that the seedlings were too small and developing too slowly to be of any use this year. After everything was planted I then took the remaining milkweed seeds I had and spread them in between the seedlings right on top of the loose soil. The key now was to keep everything watered really well, especially since turtlehead likes it wet. It didn’t take long for the weeds to start trying to take over again, which meant I then went through loosening the soil again from between the plants, not only to help in weed removal but also to aid in aeration of the soil. My local nursery then ran an overstock sale on rue so I ended up buying 32 more plants, adding another row of rue as well as planting some of the plants in between what was already planted, filling in any gaps. I had 8 plants left over which I put into larger pots. 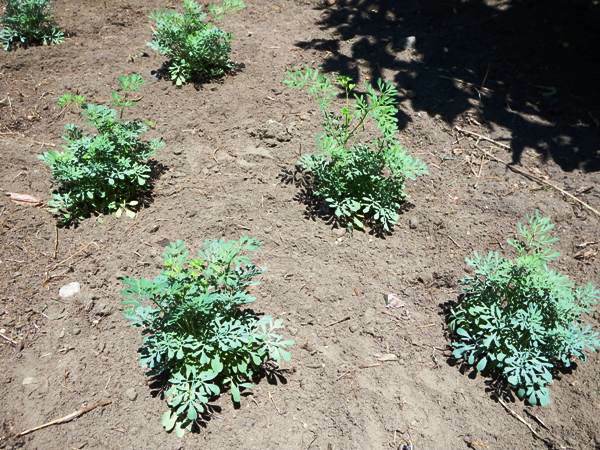 I also ended up buying about 50 established plants of Asclepias tuberosa, which I then planted into one remaining gap in the garden that I had, in between the rue and the milkweed seedlings. This ended the planting of this garden so now it was just a matter of maintenance. Watering and weeding on a regular basis was all that was left to do. 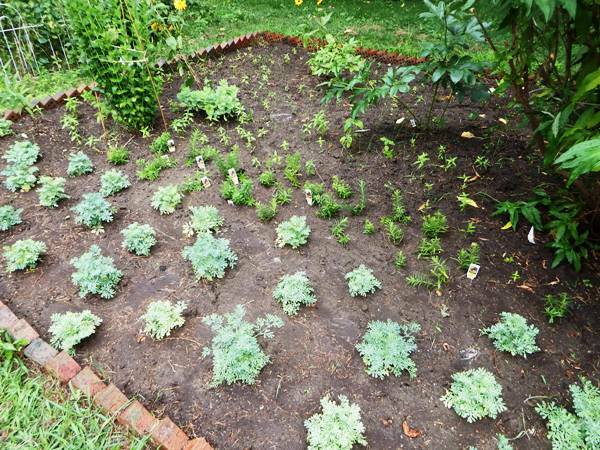 Since this garden is still in its infant stage, it will be some time before it really gets established. As it progresses I will definitely be adding new pics here on a regular basis! 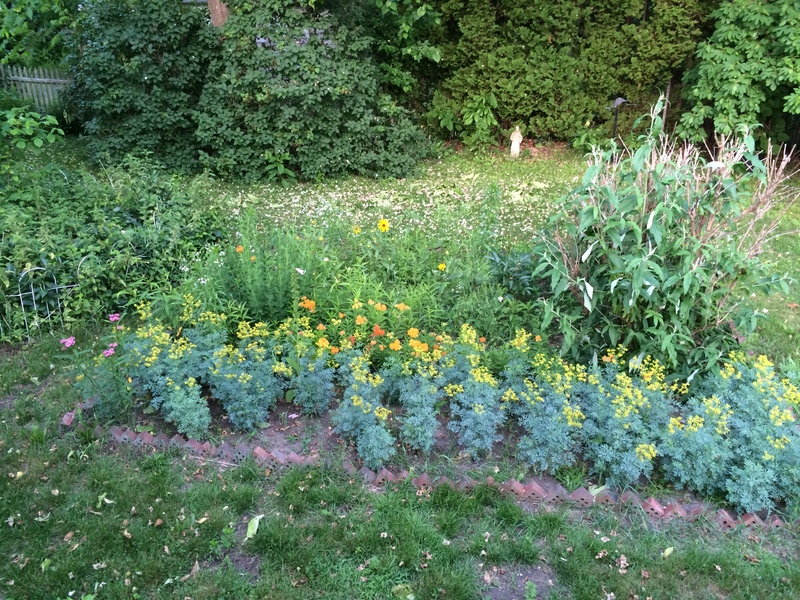 Here we are one year later and not only has the rue gotten huge and flowered, the milkweed took over everywhere! Now to patiently wait for monarchs and black swallowtails! 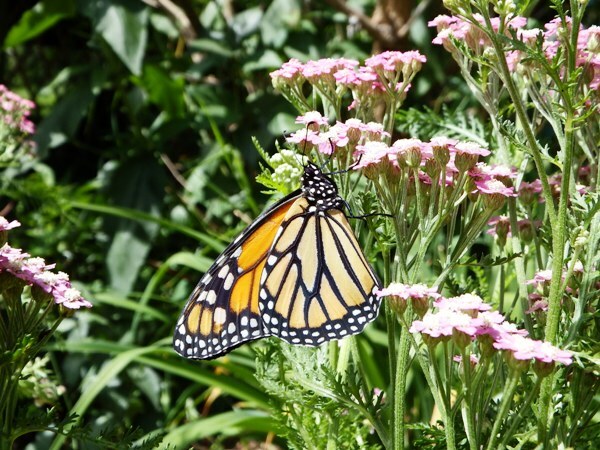 This entry was posted in Butterfly Gardening, Conservation, Raising butterflies, Uncategorized and tagged asclepias, milkweed, Rue, Turtle head, Turtlehead. Bookmark the permalink.